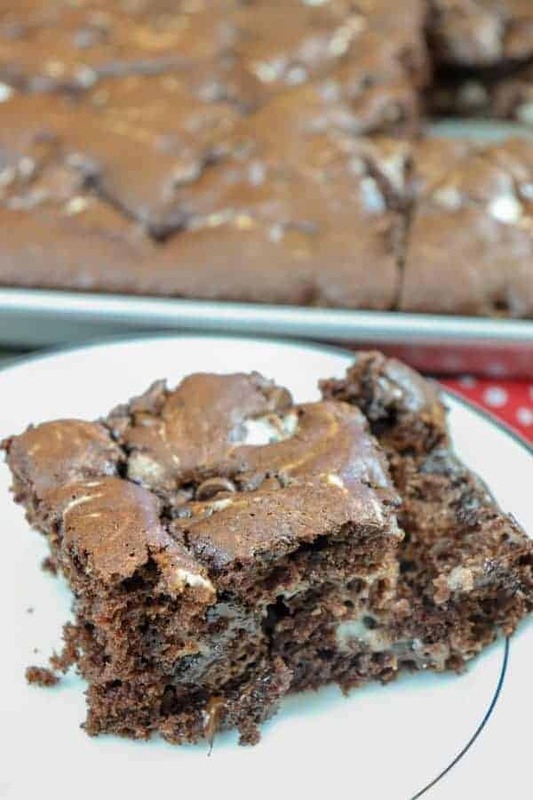 There are several great things about these chocolate marble cake bars. 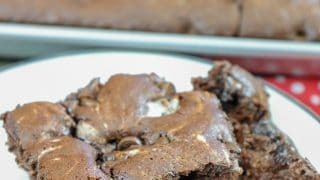 They are super easy and fast to whip up, they bake in no time, they are budget-friendly, and they make quite a few bars. They taste good hot out of the oven (because we all know I am not going to wait long to try a bite of dessert) or cold out of the fridge. The dessert starts with a boxed cake mix. For part of the recipe, you’ll be following the directions on the box. 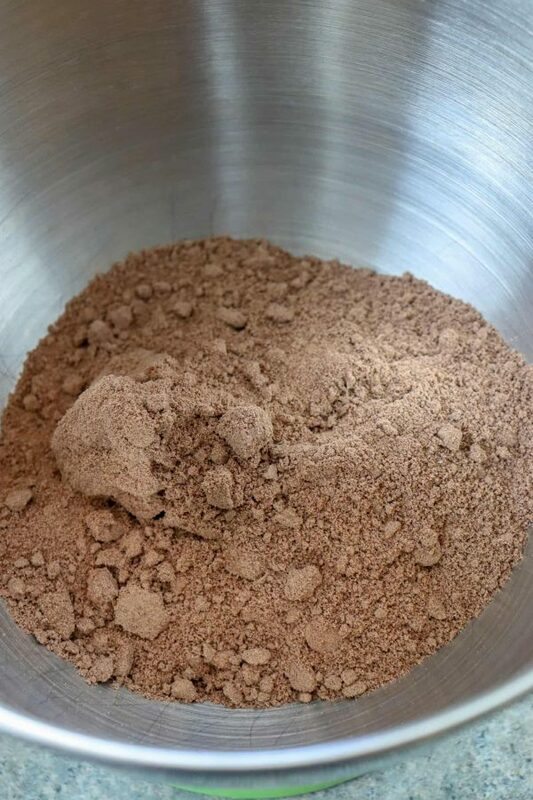 So, if you’d like a different type of cake mix for the bars, you have that flexibility. 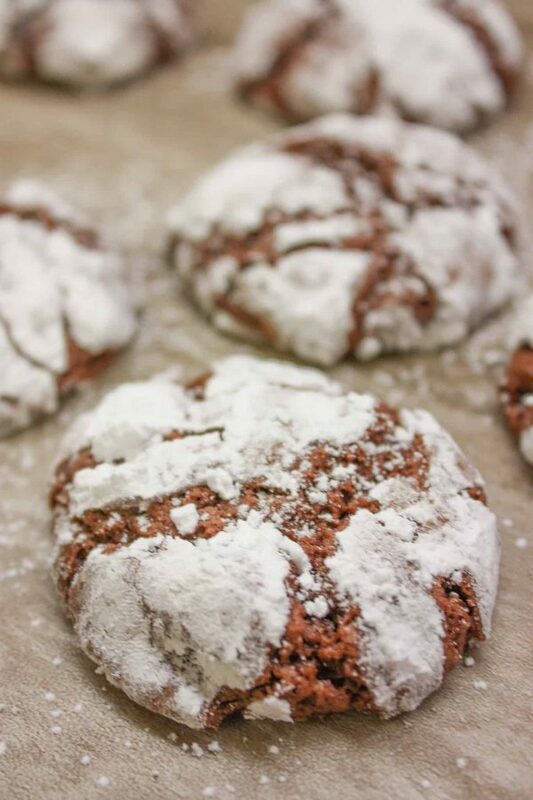 A German chocolate cake mix, chocolate cake mix, red velvet cake, or even a carrot cake will do. 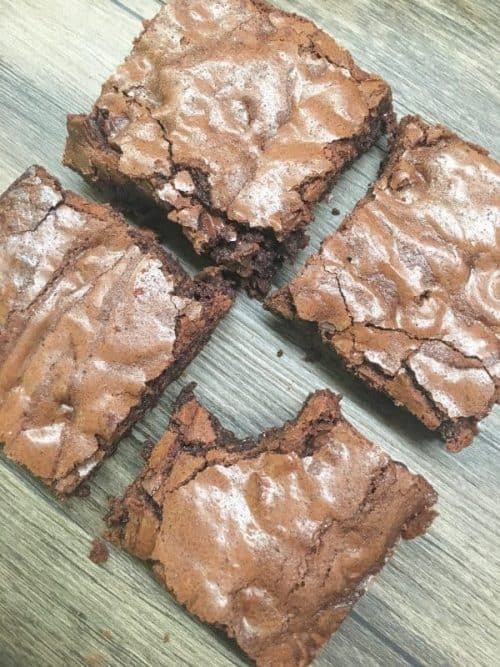 For this recipe, I used a chocolate cake mix. 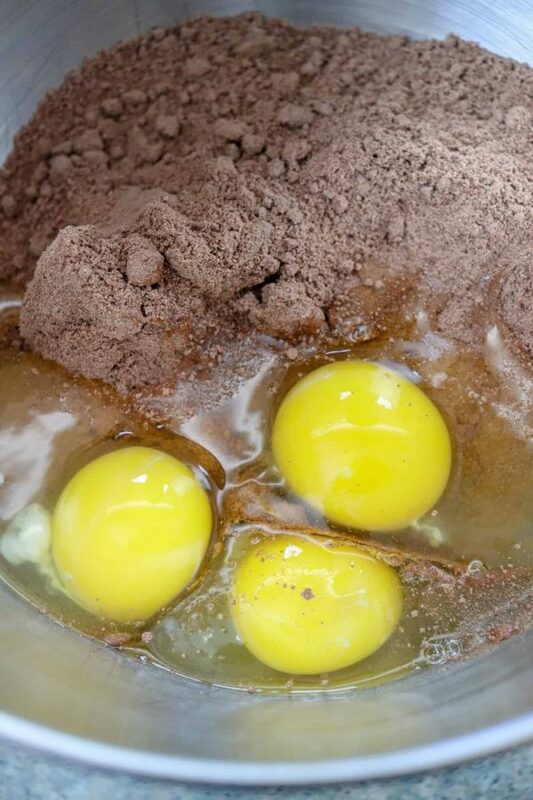 Add the boxed cake mix to a large bowl. Add the eggs to the bowl. 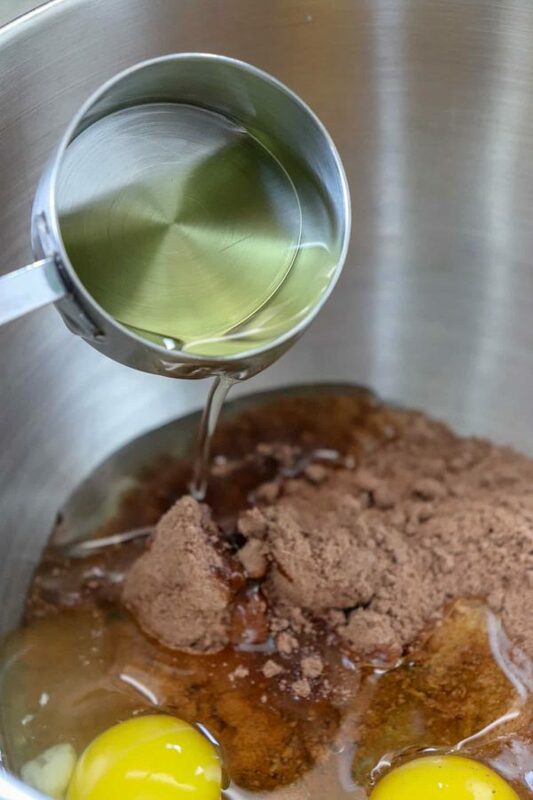 Add the oil to the cake mix. 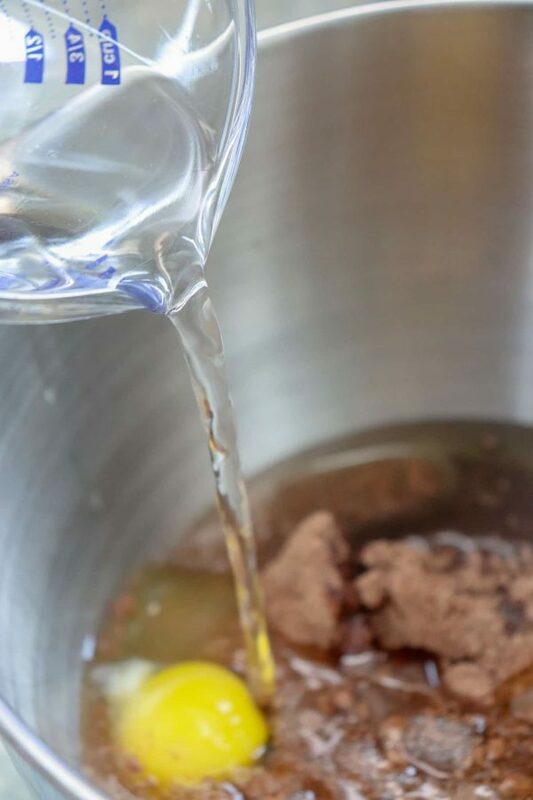 Pour the water into the cake mix. Give everything a good stir until it’s all mixed together. 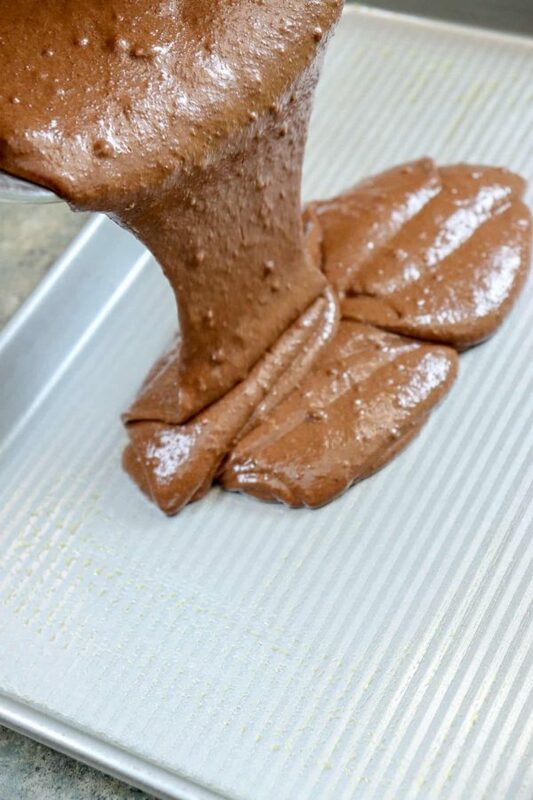 Pour the cake mix into a greased jelly roll pan and spread it out evenly. Add the cream cheese and sugar to a bowl. Mix the two ingredients. 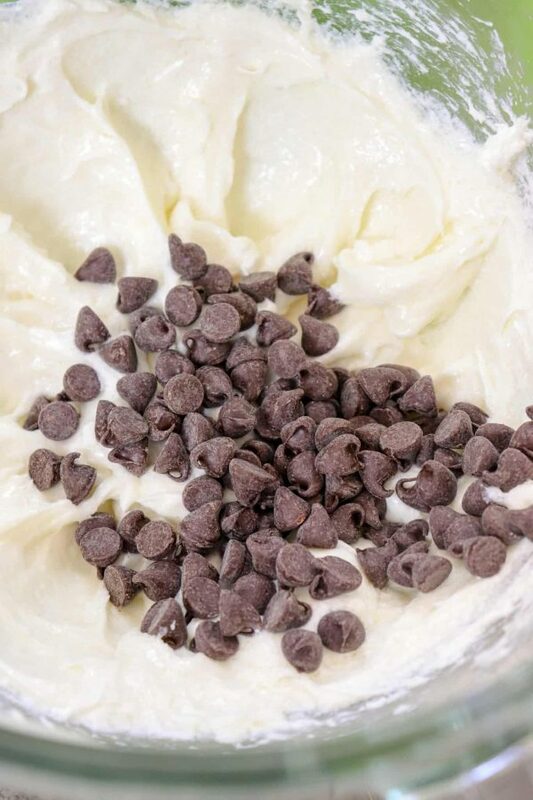 Add 1/4 cup of chocolate chips to the cream cheese and fold into the mixture. 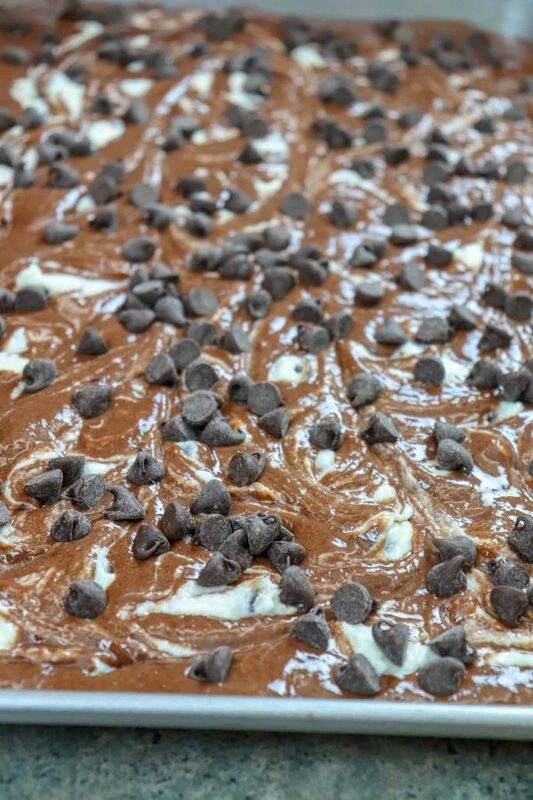 Drop spoonfuls of the cream cheese mixture on the cake and run a knife throughout marbling the mixtures together. There’s no right or wrong way to marble it. You can just run it through until you’re happy with it. 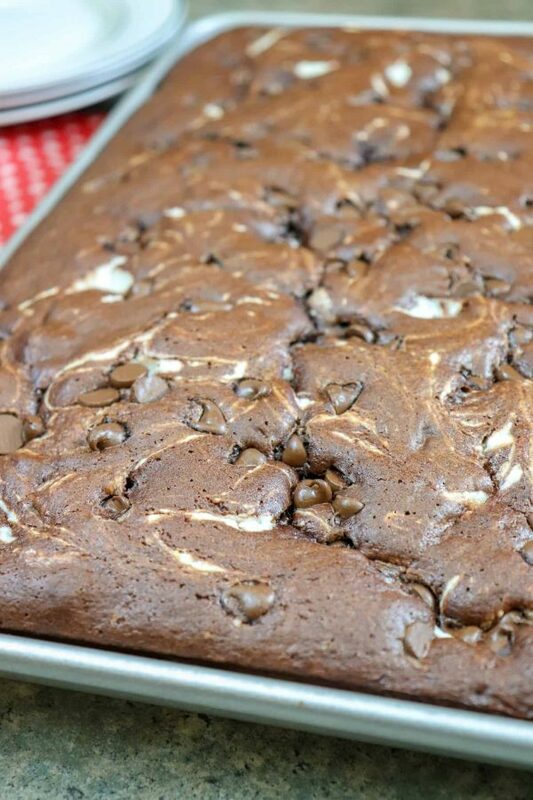 Sprinkle the remainder of the chocolate chips on top of the cake. Bake for 30 minutes or until the cake tester comes out clean. If you can, wait until it cools to try a piece. I have to admit, I didn’t wait. I ate some as soon as I took it out of the oven. And it was good. Really good. And…then I ate some later when they had been in the fridge for a while. Still yum. If you’re looking for a quick and easy recipe, this is the one. Enjoy! Prepare the cake mix according to the directions. Pour into a greased jelly roll pan and set aside. 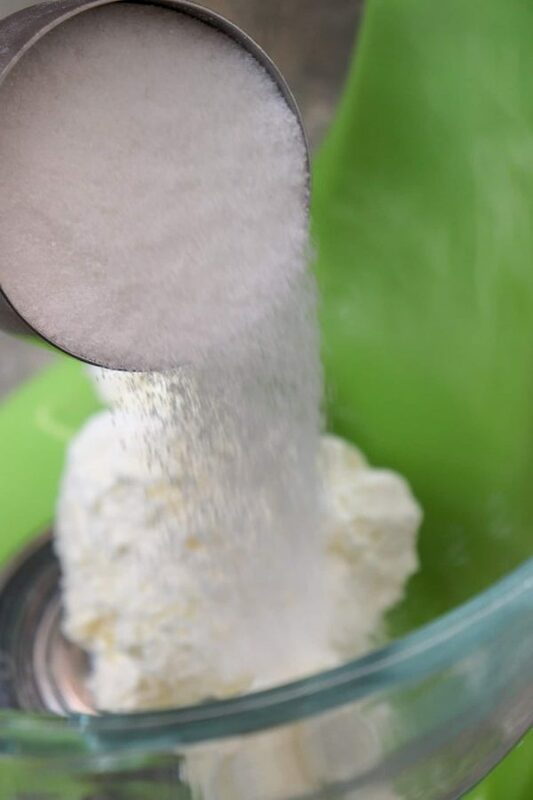 Add the cream cheese and sugar to a bowl and mix together. Add 1/4 cup of chocolate chips to the batter and fold in. Scatter spoonfuls of the cream cheese mixture on the cake. Take a knife and run it through the cream cheese and create the marbling effect. 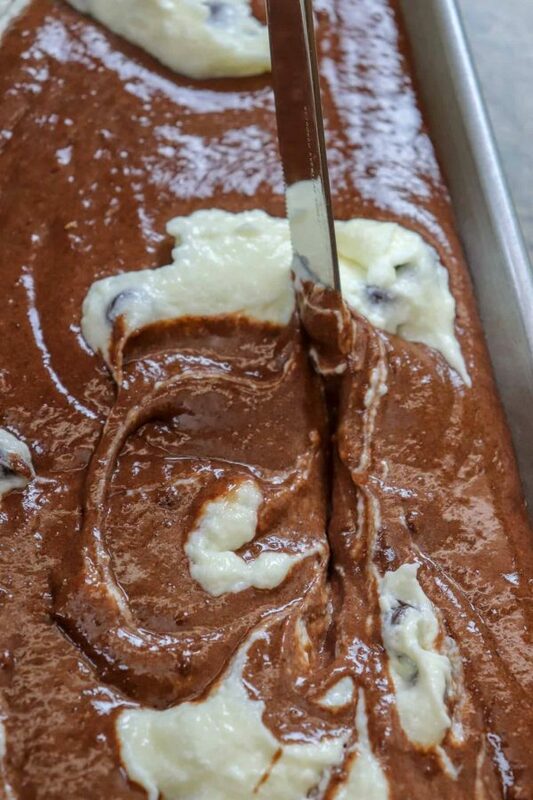 Sprinkle the remainder of the chocolate chips on top of the cake bars. Each cake mix list of ingredients will be a little different. Be sure to check the ingredients on the back of the box.